Acalypha cv. 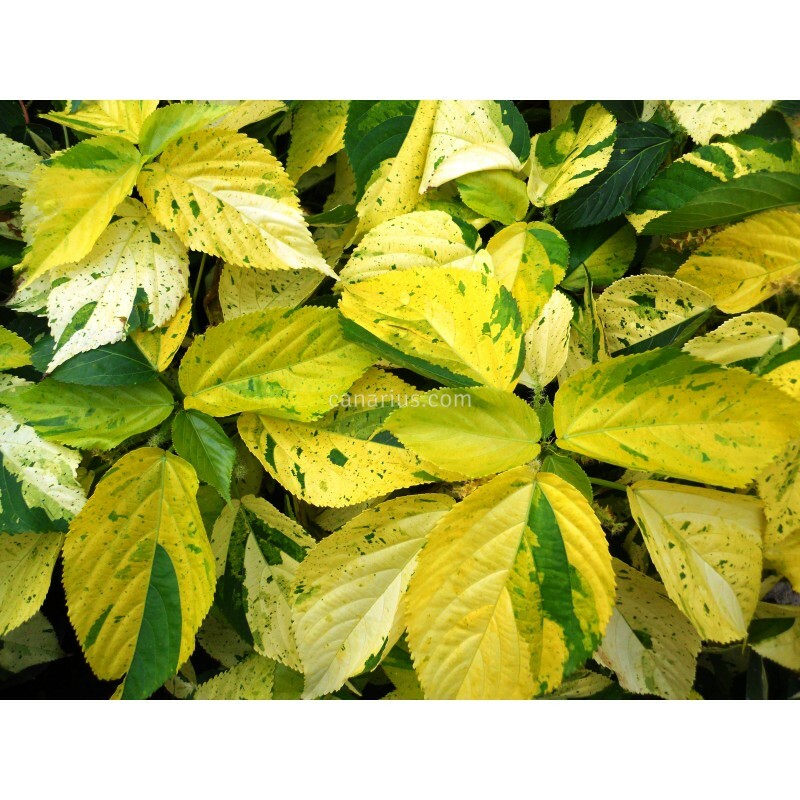 Java White has green leaves speckled with cream-white. The first leaves in Spring will be mostly green, with some creamy parts. 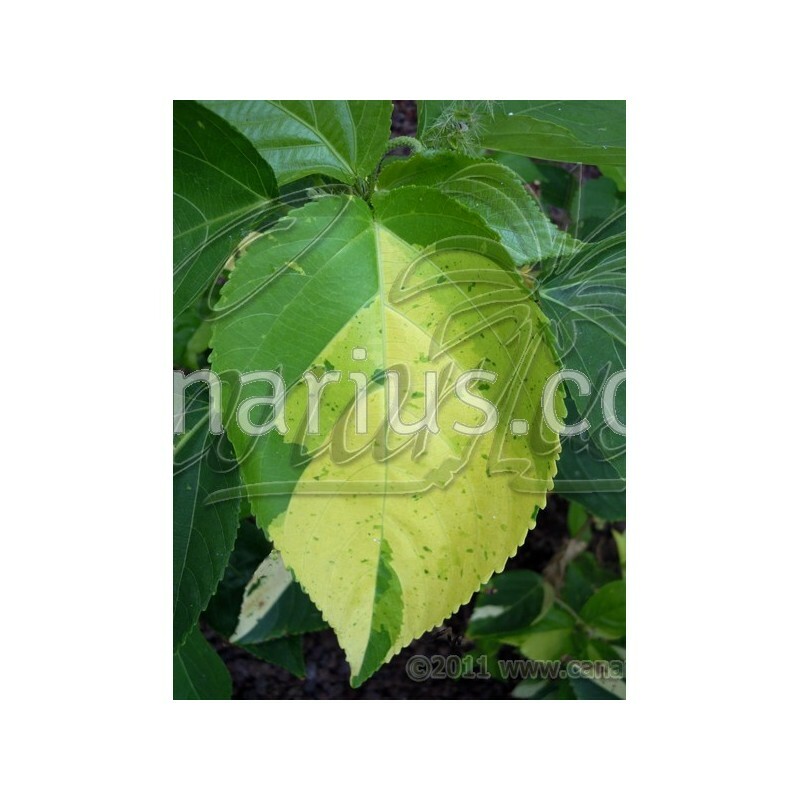 Leaf after leaf, the plant will become more variegated and at the end of Summer it can be almost all cream-coloured. 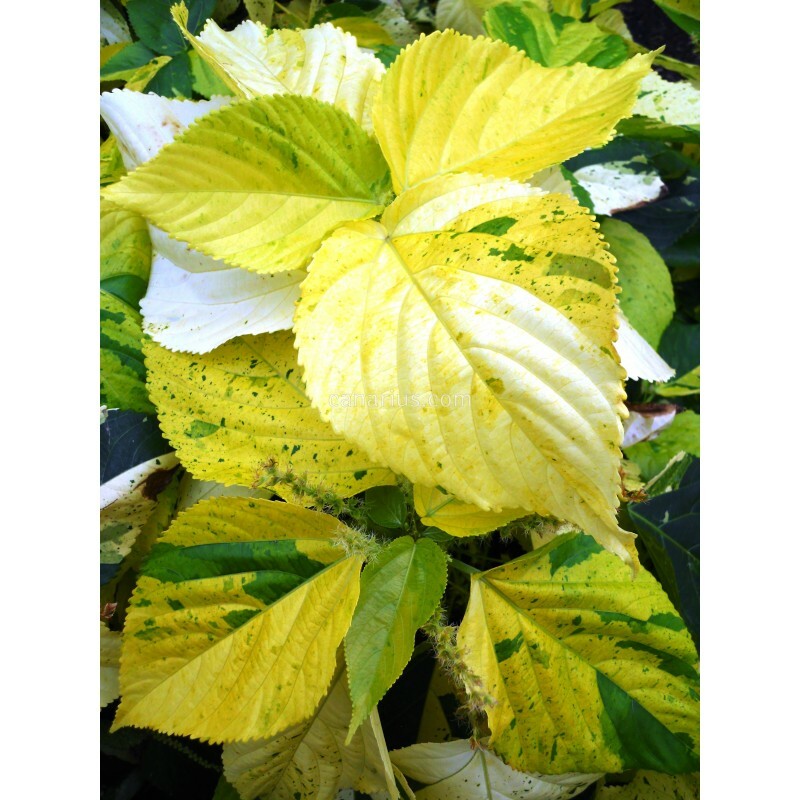 This plant is a winner and it is more robust than other white-variegated varieties.